Tablets are pretty awesome pieces of technology. They still sort of make me feel like I’m in the future -- just another step closer to Minority Report. Plus, as someone who frequently ends up lugging around a not-so-portable laptop, I’ve found them particularly alluring. 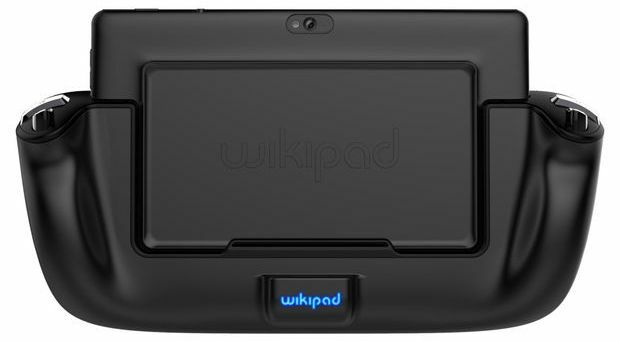 Still, I don’t think I’ve ever wanted any tablet as much as I want the Wikipad. 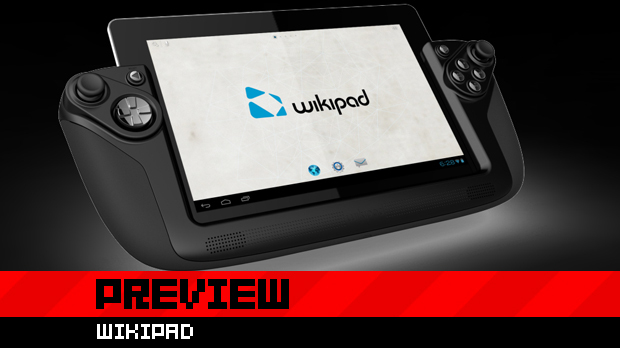 Obviously the biggest thing that sets the Wikipad apart from its competitors is its gaming focus, evidenced both by the impressive hardware and, more overtly, its custom controller dock, which makes traditional control schemes for tablet games available. Continue reading for more on how neat it is, particularly in its little touches. When I was first handed the tablet, it was sans controller dock and immediately I was a bit impressed. At 1.23 pounds (560 grams) and with a thickness of just .34 inches (8.6 mm), this thing is preposterously svelte and less of burden than some of the books I take with me to read on the train. And all of this is in spite of the mind boggling amount of tech crammed into the thing. 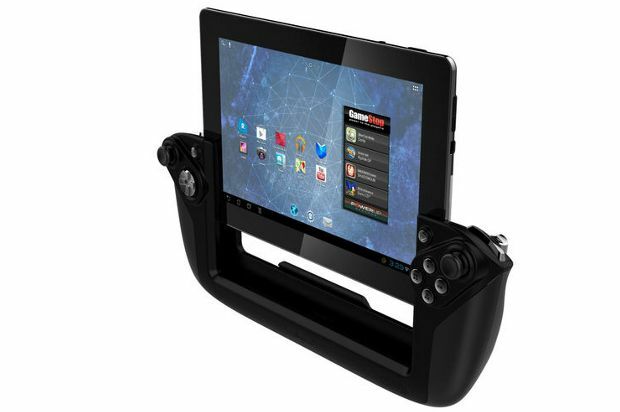 Additionally, a raised, rectangular lip on the back of the tablet used to guide it into the controller dock doubles as added grip for just an extra hint of security when you’re holding your expensive toy. In the dock, you obviously lose some of that impressive portability, though it isn’t particularly bulky and could quite reasonably fit in most sort of travel bags should your intent be gaming all day, every day. The controller doesn’t add all that much weight and it’s nicely balanced. It’s also ergonomically comfortable. Aside from affording traditional controls, it also usurps the tablet’s built-in speaker with an admirable speaker bar at the bottom. The first game I loaded up was Max Payne Mobile and, well, it played just how would expect it to play with a standard control scheme. It was instantly familiar. I was also surprised by how well Max Payne Mobile looked on the Wikipad's gorgeous 10.1" screen. Much to my shame, I never finished the first Max Payne because of how it controlled on PS2. I dealt with Max’s seeming inability to walk in a straight line until I got to the hallucinatory bit in which you have to walk a thin blood trail without falling off into the dark abyss. After 45 minutes (plus some time adjusting my TV settings just to be able to make out the trail) off falling to my death, I quit, which is unfortunate because I love the noir style. I suppose I should’ve just picked it up on PC long ago, but this is another nice alternative. 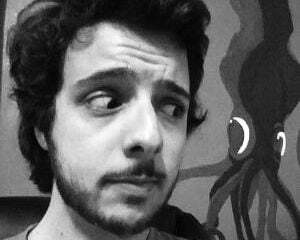 After shooting enough people in the head in slow motion, I checked out a first-person zombie shooter developed specifically for Android devices, Dead Trigger. Again, it played just like any console first-person shooter. Perhaps most impressive, thanks to the Wikipad’s considerable tech, I was able to play through Dead Trigger without quitting Max Payne Mobile, which I jumped right back into without leaving Dead Trigger, from the point I had left off (ankle deep in dead guys). Indeed, at the peak, I had four games running simultaneously, including Riptide GP (a wave runner racing game) and the adorable platformer Cordy. I’ve played the latter on a smart phone and definitely prefer the button input; I don’t exactly like playing platformers with a keyboard, let alone a touch screen. 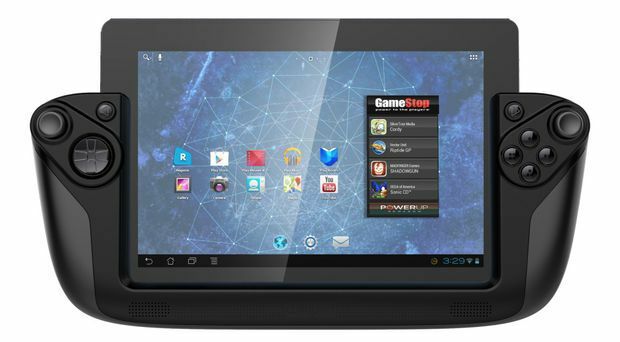 Beyond the gaming focus, there are just a lot of really neat little things this Android Jellybean tablet does. You can drag and drop six icons to remain docked at the bottom of the screen for easy access, while you can swipe between navigation pages in a full circle rather than having to move all the way to the right and then back to the left or vice versa. There is also an easily accessible portal for all the different game storefronts where you can easily see what PlayStation Mobile, NVIDIA’s Tegra Zone, Google Play, or “several upcoming unannounced platforms” have to offer. There are a few other neat bits that stood out to me. Because of the raised lip on the back of the tablet, laying it on a hard, flat surface gives you wonderful acoustics as the sound produced by the speakers bounce back up. The sound filled a big, high-ceiling room rather impressively just 70 percent of the maximum volume. The prongs on the power cord are reversible, allowing you to squeeze it in an outlet at whichever orientation saves you those precious extra outlets. On top of that, a pack of interchangeable prongs for international travel will be offered (and if you’re buying a fancy tablet, I assume you also go on international business trips, so that should save you some headache). The Wikipad’s mantra is “Work hard. Game hard,” and it lives up to it. Set at $499, it’s on the pricier side of things and in direct competition with the juggernaut known as the iPad. That being said, if I had to choose between the two, I’d probably go with the former, though its ultimate success -- and the heights it can reach from there -- is going to be contingent on how well it sells out the gate. With its partnerships and wonderful hardware, it could just be something special. Any interested parties can pre-order through GameStop leading up to its October 31, Halloween release.